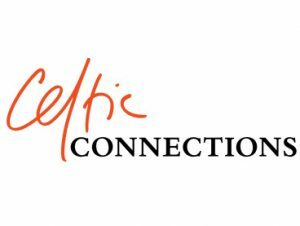 So this month, everyone’s favourite winter trad festival is in full flight and in prime position to momentarily get rid of the Hogmanay hangover and replace it with the Celtic Connections one. I’m very lucky to be doing a few different things, gigs with Fuaran nan Eilean (28th Jan), Canach (3rd Feb), TMSA Young Trad Tour (4th Feb) and a super exciting commission from the University of Glasgow’s Gaelic Initiative for INYAL, where we’ll be premiering 3 newly arranged Gaelic songs with a guest singer (yet to be announced – check the INYAL facebook for details soon! ), and a string section. The gig is on 28th Jan in Glasgow’s Old Fruitmarket, where we’ll be appearing alongside legendary bandolim player Hamilton de Holanda, and the seemingly unstoppable Niteworks. Apart from doing gigs, I’m also taking part in a masterclass led by world-renowned American fiddle-player Mark O’ Connor, on the 29th Jan, at the City Halls. Even if you can’t make it to any of these things, there is so much amazing music happening in Glasgow at the moment, and I strongly suggest you check some of it out! Looking to the next few months, INYAL are playing at the Highland Annual in Edinburgh on 10th February, and also at the FilmG awards in the Old Fruitmarket on the 17th February. It would be sweet to see some folk there!